I have long been fascinated by the Awaji dolls with their classical,religious style and their rich headdresses and costumes.Thefigures of the dolls act as a catalyst for the discovery of the beautiful conscousness of the self. With my work,I have attempted to portray the world of the Ningyojoruri, the Japanese puppet dolls. 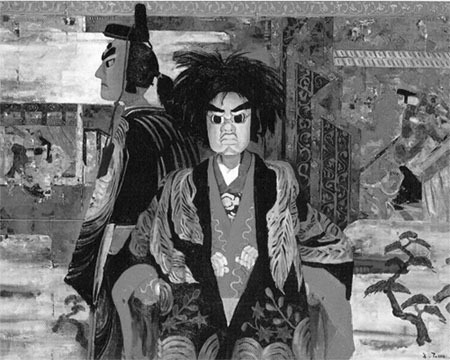 TheBunraku puppet is based on the original Ningyojoruri, but I hope to create a new Awaji Ningyojoruri world which further incorporates a present-day sense. I am pleased to take this opportunity to be a guide in the world of the beautiful Awaji Ningyojoruri, the puppet dolls of Awaji.